This is a thread or list of Unplaced Delegates with Filipino Heritage (Other than Philippines) in Miss Earth. This debunks the myth that if you have a Filipino lineage you are guaranteed a spot in the finals. Last edited by Nand on Mon Dec 03, 2018 3:04 pm, edited 4 times in total. These are the ones that come to mind. I remember Pinoys talking about their Filipino heritage. Handsama wrote: These are the ones that come to mind. I remember Pinoys talking about their Filipino heritage. @HANDSAMA, IF WE INCLUDE THIS, 7 OF THEM OF FILIPINO HERITAGE DID NOT MAKE IT TO THE SEMI'S RIGHT? HOW ABOUT A CANDIDATES WITH FILIPINO HERITAGE WHO MADE IT AND EVENTUAL WINNER? I THINK THE PROBLEM WITH MISS EARTH ARE THE JUDGES, IN PRE PAGEANT ACTIVITIES 100% ARE FILIPINOS COMING FROM SPONSOR, OBVIOUSLY THEY ARE FAVORING A FILIPINA. THE DETERMINANT WHO'S GOING TO THE SEMI'S, HOPE MISS EARTH WILL HIRE PEOPLE FROM OTHER COUNTRIES TO AVOID BIASES. ONE FILIPINO JUDGE IN FINAL NIGHT OR NONE TO VALIDATE AN ACCEPTABLE RESULTS. tama... for sure this year ms. austria will place becoz she has a filipino blood or worse will win the crown. mess earth is always biased in favoring ms.philippines and overshadow other beautiful ladys from other countries.. if they will let another filipina win this year its the end of the road for this pageant. If we’re talking about women with Filipino heritage from other countries who won the pageant, there was only one and that was Canada in 2007. The next closest was Australia last year who ended up as a runner up. That’s pretty much it in Miss Earth’s 17 year history. So you don’t think your fellow Filipinos are capable of being objective as judges? I thought these judges come from distinguished backgrounds. Aren’t they respected members of society? I mean we’re talking about entertainers, media personalities, entrepreneurs, politicians, etc. You guys are starting to scare me. First, we’re told that they’re a bunch of racists. Now we’re being told they’re biased and are incapable of fair judging. If that’s the case, then there’s something seriously wrong with the Filipino psyche. Which means I may have to scratch the Philippines from my list of future travel destinations. After all...why bother dealing with a bunch of racists and cheats. Delegates with Filipino Heritage made to the cut including Miss Canada 2007, Miss Sweden 2016, Miss Australia 2017. Not sure if other delegates with Filipino heritage in this list. None of them deserved the semi spot. There are high possibilities that you can make the cut if you have Filipino Heritage based on the data. But I think MEO realized the issue and no delegates with Filipino heritage take the advantage. Last year I think MEO was smart. The organization knew the final two have Filippino heritage. So they changed the format and announced Miss Australia with Philippino heritage first. Otherwise, fans will bash MEO harder. Give thumb to MEO for the smart change. ... ONE FILIPINO JUDGE IN FINAL NIGHT OR NONE TO VALIDATE AN ACCEPTABLE RESULTS. I'm cool with that, but keep in mind that at least 75-95% of judges at Miss Universe are always American and it's the same for Miss International. 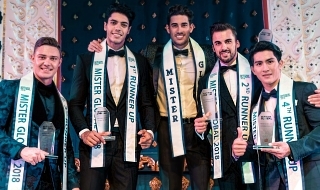 For Miss World it doesn't matter since no actual judging takes place there. The flag's blue color should be on the left side. 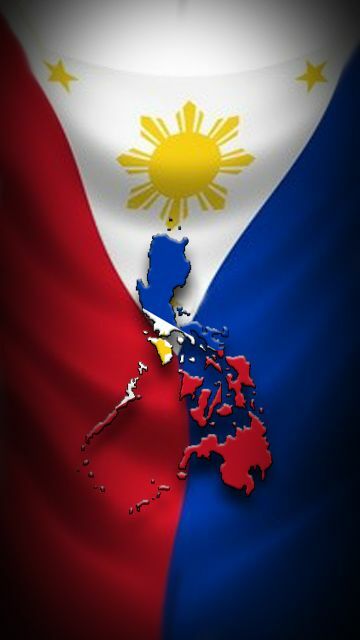 Placing the red color on the left side signifies that the Philippines is in a state of war. Hindi ko alam kung bakit ang Miss Earth ang sinisisi nila kaya nakakapasok ang mga may kalahating pilipino sa semifinals! Sisihin niyo yung mga franchise holders na mahilig mag korona ng mga kalating pilipino! @HANDSAMA, MISS EARTH IS A FILIPINO OWNED PAGEANT. THERE ARE LOTS OF FILIPINO WHO ARE NOT BIAS BUT THE FACT IS IT IS OUR PAGEANT, YOU CANNOT UNDERMINED THAT THERE WERE BIASES ESPECIALLY IN THE EYES OF THE FOREIGNERS. TO REMOVED BIASES, MY ADVISED TO CAROUSEL IS TO REMOVED FILIPINO JUDGES ESPECIALLY IN THE FINAL NIGHT. WE HAVE 4 MISS EARTH IN A SPAN OF 17 YEARS PLUS A LOTS OF RUNNER UPS. WE ARE PROUDER IF WE WON IN ANOTHER PAGEANT, MAJOR OR MINOR. WE ARE ALSO HAPPY IF THE WINNER OF THE CERTAIN PAGEANT HAS A FILIPINO HERITAGE. IF A FILIPINA WON MISS EARTH, IT'S JUST "OKEY" BUT IT'S SWEETER IF IT IS IN THE OTHER PAGEANT. 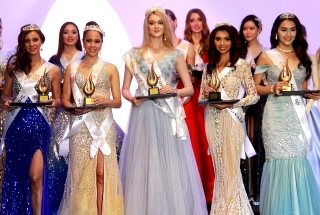 Only one Filipino judge during Miss Earth 2015 but still Philippines won. It always boils down to performance and intelligence. Miss Earth is looking for a woman with substance, who could walk the talk and can talk to anyone intelligently. Its not Miss Philippines fault if they are more prepared compare to other candidates. AND IT IS EVEN MORE DANGEROUS TO HAVE MORE FOREIGN JUDGES AS SHOWN IN VIENNA AND EVEN IN 2017, YOU SAW HOW THE FOREIGN JUDGES APPLAUDED THE ANSWER OF KAREN. WILL CAROUSEL SHOW US HOW THE JUDGES VOTED TO ERASE THE DOUBTS? To conclude, not all mixed/overseas Filipina delegates place but when they do, the seeming trend for them is to place high. Of course, there may be a lot of favorable circumstances that lead to their placements but that's probably for another post in another time. bbmack1521444 wrote: tama... for sure this year ms. austria will place becoz she has a filipino blood or worse will win the crown. mess earth is always biased in favoring ms.philippines and overshadow other beautiful ladys from other countries.. if they will let another filipina win this year its the end of the road for this pageant. THAT GIRL IS SO THICK TO BE MISS AUSTRIA WHEREIN SHE ALREADY KNOWS IN HER HEART THAT SHE ALREADY WORKED IN THE ORGANISATION !!!! I am surprised that you forgot Sweden 2016 whose parents are both Filipinos. And I would like to mention that the first ever winner from Denmark, her ND that time was a Filipino aka Cheryl Nielsen. I am not taking anything away from Catharina Svensson but if her ND that time was nit Pinoy, I wonder of she made it into the Top 10. Bottomline is, ME preliminary judges love to play the FILIPINO CARD! Last edited by Stoichio on Tue Sep 11, 2018 6:33 pm, edited 1 time in total. LET US ASSUME, FILIPINO CARD, TRUMP CARD, JULIA'S CARD, WHAT ELSE IS NEW? THE THING IS - FILIPINOS ARE PERFORMING SO WELL IN OTHER PAGEANTS ASIDE FROM JULIA'S CARD. THEY PREPARE HARD, SO WHY TAKE AWAY THE SWEET FRUIT OF WHAT THEY HAVE WORKED HARD FOR? Geezzz, why are some people so concern about half-Filipinos representing other countries in Miss Earth? What's wrong with it? I still want to hear an American (or even Filipinos) complaining about half-Americans representing other countries in Miss Universe. Philippines is even sending almost every year halfies (usually half-Americans) to Miss Universe and Miss World yer most Filipinos rejoice. WHy can't other countries do the same to Miss Earth? Double standard to the maximum level. Geeyourhair wrote: Geezzz, why are some people so concern about Filipinos representing other countries in Miss Earth? What's wrong with it? I still want to hear an American (or even Filipinos) complaining about half-Americans representing other countries in Miss Universe. Philippines is even sending almost every year halfies (usually half-Americans) to Miss Universe and Miss World yer most Filipinos rejoice. WHy can't other countries do the same to Miss Earth? You didn’t get the point girl hahaha! It's you who did not get my point. My point is...there was no issue at all if there are half-Filipinos representing other countries--it does not warrant a semi-finalist position or crown just because they have a Filipino blood. If they manage to be in the semis they made it due to their performance not because of them being half-Filipinos or else every halfies would have been in the semi's. It's their performance and their attitudes that determine their fate in the final night not because they have Filipino bloods. Nope! I didn’t forget about Cloie. Jesnude was asking about those who became eventual winners. So following on your logic, only 5 women with Filipino heritage placed in the 17 year history of Miss Earth. That’s not a lot considering that you make it sound as if Miss Earth has become a haven for these women. But I really don’t care about their heritage as long as I find them deserving. And Cloie and Nina deserved those spots contrary to what you haters say. Then that defeats the purpose of erasing the scores to begin with. Contrary to what most people think, I have it on reliable source that the top 4 aren’t scored solely based on the Q&A alone. The scores from the other segments are also factored in. I just don’t know how much weight is given to the Q&A. And when did it happen that the Miss Earth preliminaries were judge by a 100% filipino panel? Please stop making the Filipino judges incapable of fair discernment when it comes to judging a "beauty" pageant. 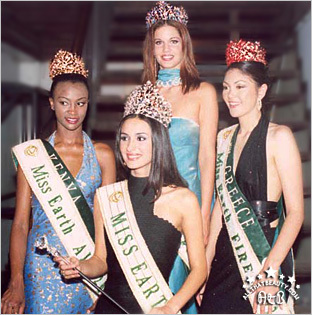 Did you have issues on the results of Miss Earth 2001 -2009 editions? Were the winners of those year unacceptable to fans? Even Jessica's victory on 2007 was celebrated and welcomed then for her eloquent and powerful answer if memory serves me right. And those editions were judge by mostly Filipino judges! I guess all the controversies started only on 2011 - 2017 and your wrong in blaming the results on the filipinos when they're number in the panel were in fact lesser than the number of foreign judges. 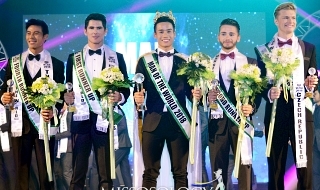 MISS EARTH IS A FILIPINO PAGEANT AND MOSTLY HELD IN THE PHILIPPINES, AND MOSTLY JUDGES ARE FILIPINOS EXCEPT THOSE EDITION WAS BEING HELD OUTSIDE THE PHILIPPINES. PHILIPPINES ALWAYS IN THE SEMIS EXCEPT TO MISS HARN AND VIETNAM EDITION. A BACK TO BACK AND ADDED TO THAT A SANDWICH VICTORY. AS A FILIPINO DO I HAVE TO CELEBRATE???? As a Filipino I think you should celebrate it just as we celebrate every Filipino who made it to other pageants both majors and minors. It means no matter what pageant and which country a pageant is held, Filipinos always excel in this arena. We always celebrate that a Filipino judges are indeed good at selecting Philippine reps in all pageants held in the country.